Visual input can often be overstimulating for a child with sensory issues. Think about ways you can simplify the visual field at home or school for a calming, organising effect. Alternately, if the child seems “tuned out” and doesn’t respond easily to visual stimulation, add brightly coloured objects to encourage visual attention. For example, a child who has trouble getting aroused for play may be attracted by a brightly painted box filled with toys in appealing colours. A child who seem unable to watch a ball as it rolls may be able to watch it if the ball lights up or makes noise as it moves. Hide clutter in bins or boxes or behind curtains or doors—a simple, solid-colour curtain hung over a bookshelf instantly reduces visual clutter. In rooms where the child spends a lot of time, try to use solid coloured rugs instead of patterned ones. Solid-coloured walls in neutral or soft colours are less stimulating than patterned wallpaper in bold colours. If a child is finding it hard to focus during group time, position the child at the front of a classroom where there is less distraction. They may also need to sit away from the window to avoid the allure of the outdoors. Some children do best sitting in the back of the room so they can monitor what other kids are doing without constantly turning around. Work with the educators in the room and an OT to see which seat placement works best. When setting up learning experiences, keep in mind that some children may be overwhelmed by too many colours. Keep it simple. For example, it might be best to have a hessian table cloth, rather than a patterned table cloth. Avoid equipment, clothes, towels, etc., in colours that a child may find distressing. This is an amazing resource Sensory Processing: The Visual System where a Paediatric occupational therapist has shared their ideas on the visual system. 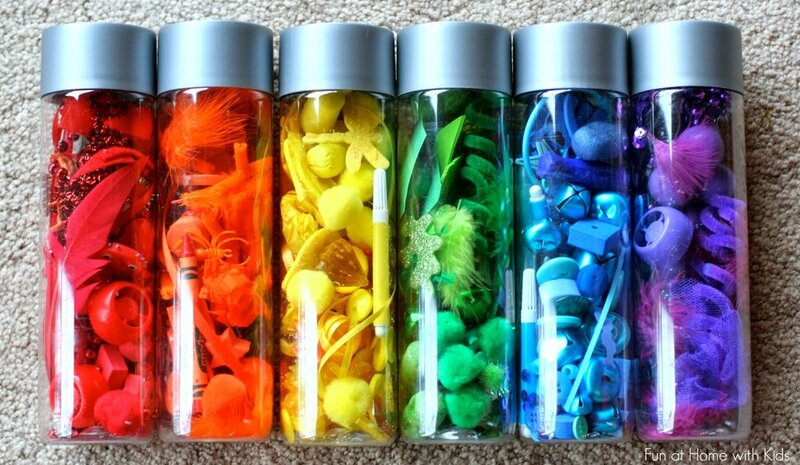 There are SO many ideas once you start using Pinterest, or Google images to search "visual sensory experiences for preschool children". You will find SO many ways you can incorporate sensory stimulation for vision into your classroom.